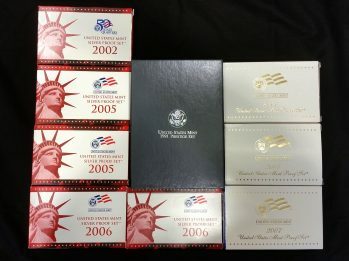 This lot includes the following: 1991 US Mint Prestige Set Mount Rushmore Anniversary Coins. 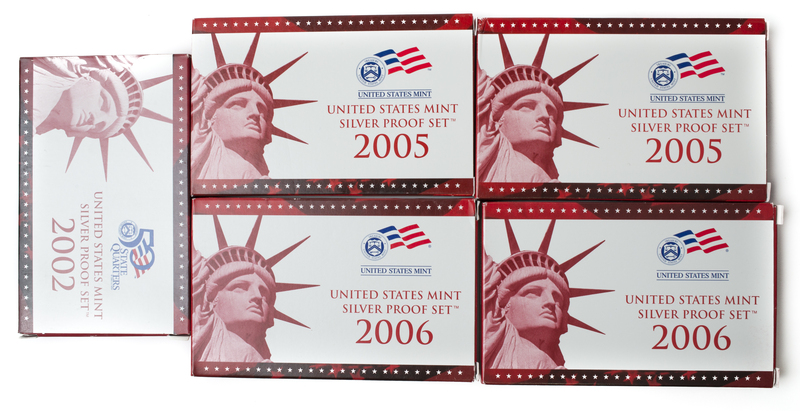 Set includes 1991 cent, nickel, dime, quarter, Kennedy half dollar, Rushmore half dollar, and Rushmore Silver Dollar (.76 troy oz). 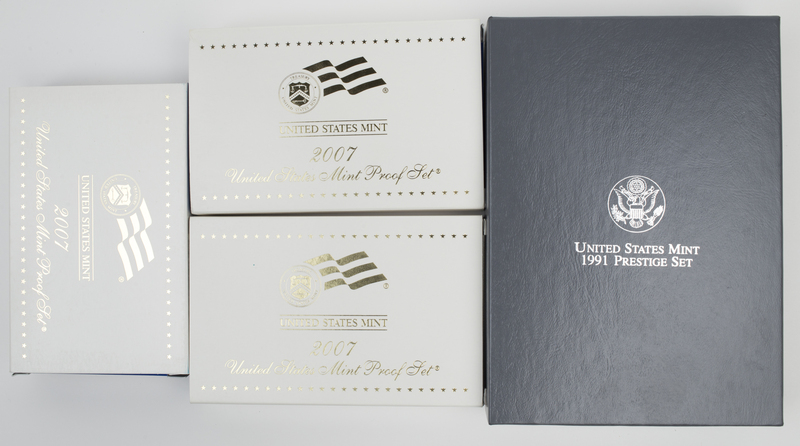 3 Sets of 2007 US Mint Proof Sets, each box contains 14 total coins including the 2007 Presidential $1 Coin Proof Set with four $1 coins depicting Washington, Adams, Jefferson, and Madison. Each Box also has the 2007 US Mint Proof Set with the 5 state quarters for that year (Wyo, Mont, Wash. St., Idaho, and Utah) as well as the coin set including the cent, nickel, dime, half dollar and dollar coins). 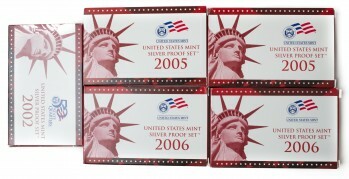 Also included are 5 US State Quarters Proof Sets from 2002, 2005 (2), and 2006 (2). 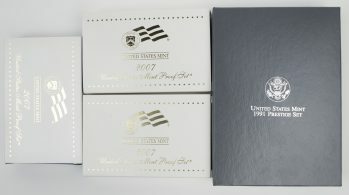 These sets include the 5 state quarters issued in each year, as well as a cent, nickel, dime, half dollar and dollar coin.